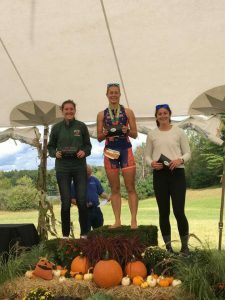 The Pumpkinman Triathlon is a great late season triathlon held in South Berwick, Maine. 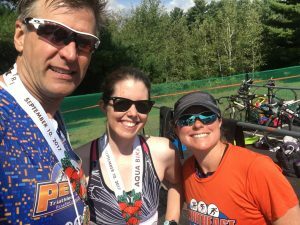 This two-day event includes the Sprint Triathlon held on Saturday and the Olympic and Half Iron Distances held on Sunday. This was the first year they held the Olympic Distance event and although it wasn’t without its hiccups (there was only 1 transition area and they would not let Olympic athletes remove their belongings to leave until the Half Iron athletes were all on the run course) it was a very well run race in a beautiful setting with amazing food at the end! Larry Rodman, Lucas Pozzetta, Lee Ann Chelak Marchionna, Daphne Thurston, Cari Talbot, Kaitlin Crocker Rondeau, Emilia McNutt, Stacey Dybel, Dan Stewart, Mike Bukowski, Mark Officer, Catherine McNamara, and Dan McCombs. And not surprisingly, NEMS were definitely represented when it came time for the awards ceremony! 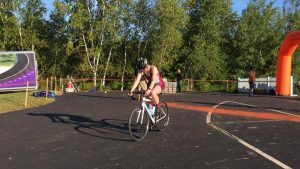 Lucas Pozzetta won the Sprint Triathlon on Saturday and came back to also win the Half Iron on Sunday (for the 2nd time!). 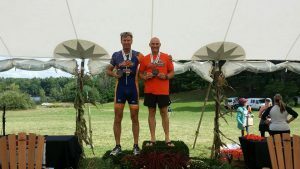 Jim Harris and Mike Bukowski took first and second overall in the Half Iron Aquabike and Stacy Dybel (1st) and Dan McCombs (3rd) podiumed in their age groups in the Half Iron Distance. 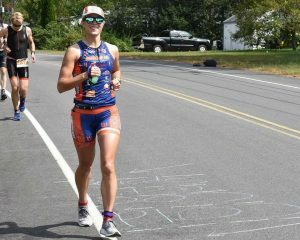 As for the Olympic distance race, Daniel Stewart took 3rd place overall and Cari Talbot took 1st in her age group. 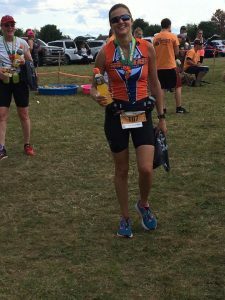 So this was my second time participating in a tri, my first having been the Olympic Relay at Cranberry Trifest last month where I raced the swim leg. I’m one month into coming back from a femoral stress fracture, so the longer distance races still aren’t there. 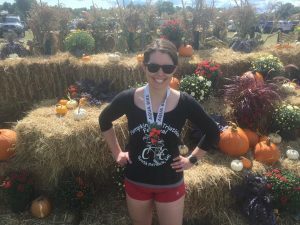 For Pumpkinman I did the 70.3 aquabike, so while not a full tri, my first race with a transition! I was definitely excited. I arrived at the race right as transition opened and I was impressed with how smoothly everything was running, even in the pitch dark! I racked my bike, made small talk with my rack mates, and saw some of my NEMS friends. I wandered around a little bit getting the lay of the land and buying an extra gu just in case – which turned out to be a good thing, because one of mine fell out of my jersey on the bike! Got down to the water, and had enough time for the world’s shortest warmup swim before they ordered us out. And then we waited and waited (okay, only a 20 minute delay) for the race to start because of the fog. At least the fog meant that the water was warm! Because that grass was FREEZING. Pro tip: bring disposable flip flops next year. Anyway, the race started, I jumped in the water, and was off! Although I came to triathlon via running (or rather, a running injury), I’ve been a swimmer since I was ten or so. Even with a ten-year hiatus in my swimming career, it’s by far my strongest and fastest of the three, and I feel super comfortable in the water. We’re old friends. 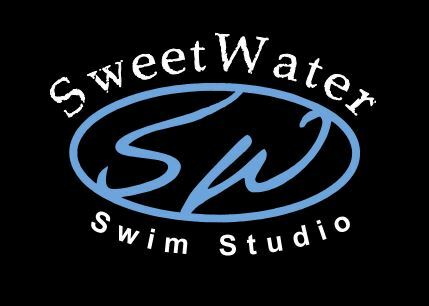 The swim was good – warm water, beautiful views, etc etc. a little crowded, so I got grabbed several times, but that’s par for the course. I finished, then had to run up that goddamn hill. That sucked. I ran until it got super steep, and then said f*ck it and walked. Not wasting energy! Transition was smooth, and still pretty empty because the aquabikes were in the second wave. Within a few minutes, I was on my bike! I had been worried that I might be cold with my sleeveless tri suit, but it warmed up to a pretty ideal temperature. The bike course was great. Just the right amount of hills and descents, with nothing too steep or too long. And the volunteers on the course were amazing! They had every turn covered, no chance of missing anything! They were good for cheering too. I was solo for most of the ride, coming across people every now and then, with more people one the second loop for sure. It was great not having a congested course, since I was worried about the drafting rules! Wasn’t a problem at all, though. The time seemed to fly by, and before I knew it (okay, those last 15 miles didn’t exactly fly by and you’d better believe I knew exactly how much further I needed to go), I was riding back into transition to finish! I took my shoes off to run to cross the actual finish (the aquabikes had to re-rack their bikes before they finished), and the volunteers all yelled at me that I didn’t have my bib for the run, not seeing that I wasn’t even wearing shoes! Dedicated volunteers haha. Anyway, got my medal, and it was completely exhilarating. For someone who just started cycling about four months ago, I was (and am) so proud of myself and the work I’ve put in to get here! I can’t say enough good things about this race and how it was run – plus the food after was delicious! I officially survived my first half iron tri! It’s been 2 years since my first Olympic tri and the last tri I did and I was itching for a new adventure. So just in June I signed up for Pumpkinman and joined NEMS. I only had 2.5 months to train for it and knew this was a bit of a stretch goal-all I wanted is to finish before the cutoff of 8 hours. 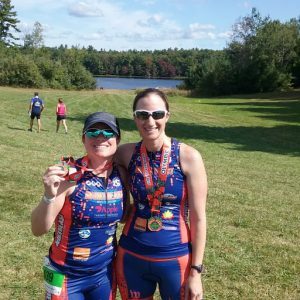 I met a fellow member Stacey Dybel who was also going to do this race and we became great swimming buddies unstoppable even by pond closures due to elevated bacteria levels. I rode and ran and gradually started to gain confidence and appetite that I can finish and maybe do a bit better than 8 hours. I did my last long training swim and my first group NEMS swim, which was fantastic! I can’t wait to do more training and events with the group. So motivating, inspiring, educational and FUN! My race time ended up being 6:23:19 and I’m really happy with it but already can’t wait to get down to work and learn how to improve my technique, speed and have an actual training plan. Such a rewarding and addicting experience. Even better when you can meet great new friends along the way! 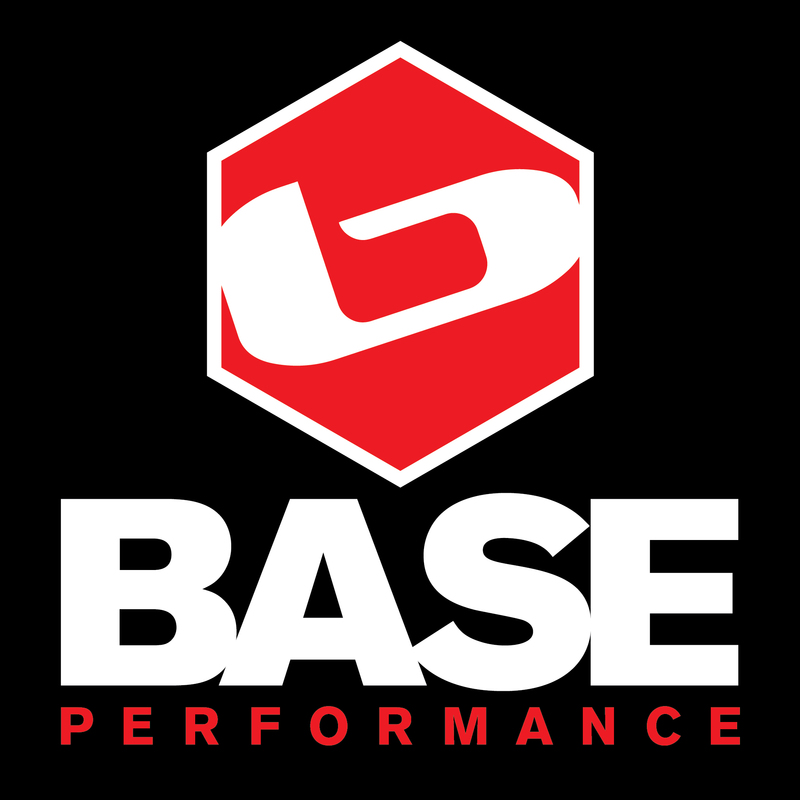 My summer training consisted of maintaining the swimming base I had worked on during the winter and spring, gradually increasing my cycling mileage and trying not to get hurt running while increasing my mileage by continuing my PT exercises. I added two sprints (season opener and Nashua Tri) and an olympic (Mass State) to keep me motivated for training. The only road bump I encountered was a major blister I acquired under my left big toe during the Mass State Tri that was most likely due to worn out flats I used for the race. In trying to baby the blister during the run, my gate changed. This resulted in some lower calf issues for a couple weeks. Lesson learned. Unfortunately, my running plan became more conservative and I delayed increasing in my long run distances leading up to Pumpkinman; I had wanted to reach 14 miles and do a longer brick workout but it just wasn’t warranted. 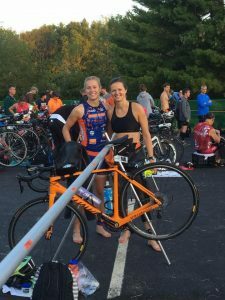 Fast forward to race week: I was on week two of a longer taper because I was worried about the freshness of my running legs and wanted to be as fit as possible for my final and biggest triathlon of the season. On Friday Emma and I (and some awesome spectators Nari and Stephen) headed up to Maine to our AirBNB in York, ME. We were within walking distance to the Nubble Lighthouse and Short Sands Beach so we enjoyed both sights during the day on Saturday before heading over to the venue to pick up our numbers. For some reason, they didn’t have my bib number so they wrote my number over a spare race number they had lying around (I’m not going to lie, this was kind of a bummer, it being my first half iron and all.) We headed back to the AirBNB and had a tasty homecooked pasta dinner before doing final stretches, checking supplies and hitting the hay. My alarm went off at 4:15 on race morning, enough time to make a light breakfast of almond butter and bananas on English muffin with some coffee. I braided my hair into French braids, pulled on my racing kit and we hit the road a little after 5:30. The bike portion went really well, I figured I could sustain between 18 – 20 mph in the bike and not crash and burn on the run. I ended up riding 2:52:37 at 19 mph! Nailed it! The ride was fairly uneventful, I dropped my chain around 4 miles which I hadn’t done all season and then some weird clicking noise for the last ten miles, so that surprised me a little. Now I had over hydrated a little (or hydrated just enough?) on the bike and needed to hit up the porto before heading out on the run so T2 was 3:12 as I had debated running out of the transition and going to a porto further down the road or waiting for the one in transition. I waited a little and took extra care to put Vaseline on my feet for the run (no blisters for me please!) before hopping into the porto. Then I was off and running! The course was a loop with a double out and back, I find out and backs boring so a double out and back just seemed like torture. I told myself it would be better because I would know what to expect terrain-wise and it would be nice seeing so many people out on the course. As I was entering T2, I had spotted my parents who had driven up that day to watch me, so they gave me a little burst of energy as I started my run! Aside from some surprise foot pain in my right foot, not a normal pain, my run went really well for the first 9 miles. After 9 miles, the fatigue started to set in and I was regretting not doing a longer brick workout. I started walking through aid stations to really take in the water and Gatorade. I had forgotten to take salt tablets with me from T2 so I grabbed the on-course salt, which I didn’t realize you were just supposed to just lick every mile or so (upon reading the container after the race). I threw half the contents into my mouth and chugged some water, I was glad it didn’t upset my stomach. It wasn’t a super hot day but the cold sponges provided were much appreciated! By the time I got back to the 12 mile mark I was surprised to see my parents standing there cheering since they weren’t there the first time! It’s amazing how much the little things help! All I kept thinking was, “One more mile, one more mile!” and just repeated chanting this to myself on the slight uphill before the turn to the downhill grass finish! I spotted Nari and Stephen who had traveled with us to come to cheer right at the turn downhill which made me smile, especially since Stephen had worn a cheerleading outfit just for the occasion. The run took me 1:51:14 which I was happy with, considering how much I had walked and how much my quads were aching. So, in total, I completed the course in 5:24:53 and got first place in my AG! The whole weekend was a lot of fun and I would definitely do it again; the turkey dinner and beer after the race were icing on top of the cake! I really enjoyed the training and leadup to the race, I’m not sure what I’ll do with all my free time and extra energy now. It was great seeing so many other NEMS members at this race, and throughout the season!